Really it is possible, vegan Bone Broth and Chili recipes. The bone Broth does not need animal bones ,it is all plant-based. It tasted delicious and original like the traditional bone broth. The Chili as well is as delicious as the traditional no meat needed. Many think this is not possible? Try it and give a meat-eater some of it to eat, he will not even think of meat. These dishes are satisfying, healthy and nutritious and the chili has a lot of protein as well. 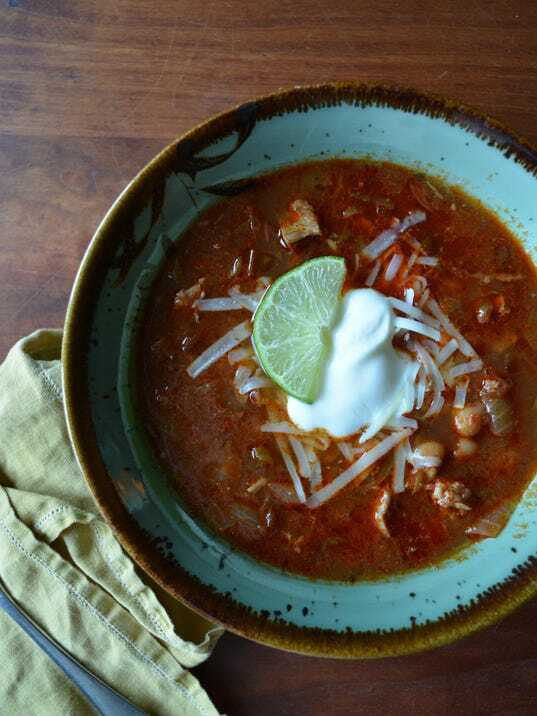 What is better in the cold time of the year than a warm chili or a bone broth soup ? Serve with vegan cornbread and enjoy. Bone broth became one of the buzziest food trends of 2015, with wellness-minded stars like Shailene Woodley (the girl who helped clay hit major headlines) giving the concoction her tick of approval, instantly helping to catapult bone broth onto mainstream foodie blogs and Instagram feeds. This was particularly bad news for vegetarians—or anyone else who’s generally turned off by the concept of drinking what is actually boiled animal bones (yep, the name’s that literal). Love chili? Which of the dozens of versions do you mean when you say “chili”? Do you prefer brothy or stew-like? Meatless or whole-hog? How much “heat” should chili have? A little kick or a tongue-scalding spicy burn? Among chili enthusiasts, so intense is recipe rivalry that cook-offs have been used as a popular fundraising effort while hashing out who’s the top pepper. Sounds like a delicious idea. Bring first 8 ingredients to boil in heavy large saucepan over medium-high heat, stirring occasionally. Cover pan, reduce heat to medium-low and simmer until potato is tender, about 20 minutes. Add okra and corn and simmer until tender, about 10 minutes. Uncover and cook until thickened to desired consistency, about 5 minutes. Season to taste with salt, pepper and hot pepper sauce. Chop onion, carrot, garlic. In a big pot, heat the oil over medium heat. Sauté onion and carrot until they begin to brown. Add the garlic, liquid aminos and spices and cook all together for another few seconds. Add the tomatoes, pumpkin, broth and beans. Stir until all is mixed well. Turn down heat, cover and let simmer for about 15 minutes. Stir occasionally. In a large heavy-bottomed pot over medium-high heat, heat the oil and add the fresh mushrooms. Cook, stirring only once, until browned, about 6 minutes. Add the rest of the ingredients to the pot. Scrape the bottom of the pot and stir to incorporate. Simmer until the vegetables and nuts are soft, about 30 minutes. Let cool. Refrigerate overnight, and reheat before serving. Keep the chili in the fridge for up to four days. Serves 6 to 10.